As you may or may not be aware, R2-KT came into existence when 501st Legion founder Albin Johnson made a pink astromech for his daughter Katie who was battling brain cancer. It is one of the more adorable droids as it has softer colors. The droid was eventually built by a master builder in the R2 Builders Club. And now the droid has been immortalized in a stunning ring. 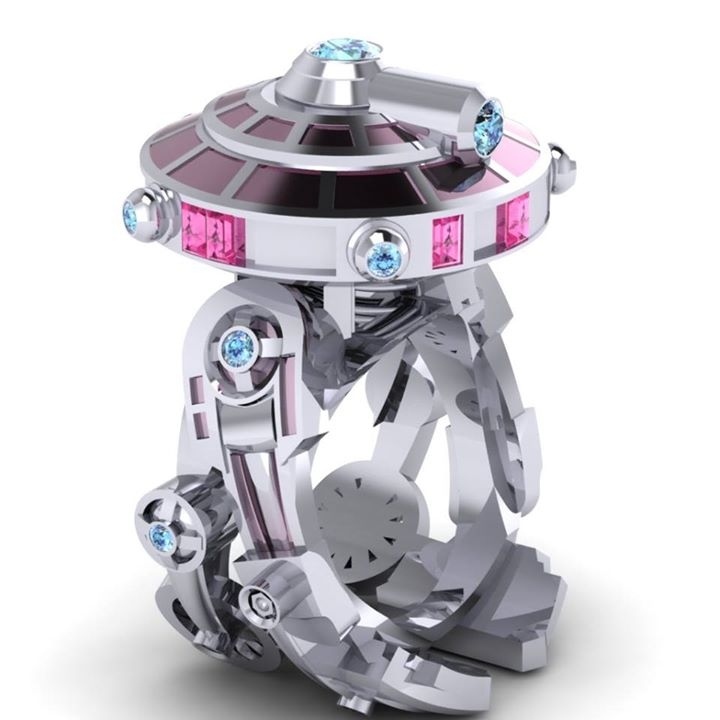 Jewelry maker Paul Michael Design used pink and light blue gems to bring R2-KT to life as an incredible ring. Like all of his designs, this is a true work of art. The man truly know how to make geek chic jewelry.